Transferring your prescriptions and heath records is easy with Amherstview Care & Cure in Amherstview, Ontario. Our pharmacists, pharmacy assistants and staff are always here when you need us the most. Every patient is treated with care and respect as we accurately monitor your health records, while ensuring only appropriate medications are dispensed. Please contact Amherstview Care & Cure to speak with one of our dedicated pharmacists or assistants. Not only do we ensure you are in the best health, we also provide a selection of affordable health, beauty, and grocery items for the entire family. 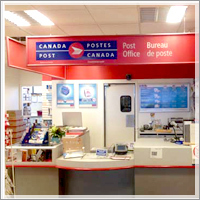 Not to mention our friendly post office staff, here to assist you with your parcel pick-up and delivery needs! 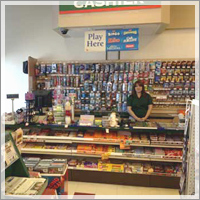 Our post office adds convenience while you shop or wait for your prescriptions. At Amherstview Care & Cure we are dedicated to making healthy living easy! What You Need is a Pharmacy Close to Home!